The lawyers for Christine Blasey Ford say that their client has no regrets about coming forward with her allegation against Supreme Court nominee Brett Kavanaugh. Another allegation of sexual misconduct against Supreme Court nominee Brett Kavanaugh was presented on Sept. 23 by Deborah Ramirez, who attended college with Mr. Kavanaugh, igniting further debate..
▶ Videos for "Kavanaugh Allegation"
According to Reuters, U.S. First Lady Melania Trump praised Supreme Court nominee Brett Kavanaugh, who faces sexual assault allegations, on Saturday, saying she was glad he and his accuser had a chance..
Trump directed the FBI to re-open its background investigation of Kavanaugh on Friday, the day after Kavanaugh and Ford testified in front of the Senate Judiciary Committee. 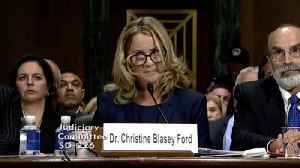 Ford has accused Kavanaugh.. 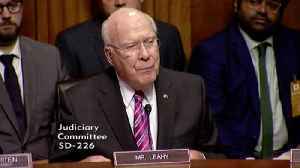 According to Reuters, The high-stakes Senate hearing on the nomination of U.S. Supreme Court nominee Brett Kavanaugh has captured the attention of American television viewers. 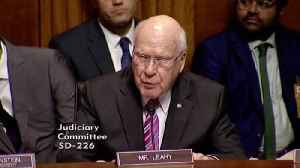 According to Nielsen..
Sen. Patrick Leahy on Friday slammed the handling of allegations against Brett Kavanaugh. Christine Blasey Ford participated in a hearing in connection to Brett Kavanaugh's Supreme Court nomination. 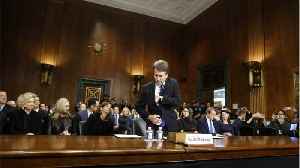 WASHINGTON (Reuters) - The U.S. Senate Judiciary Committee is looking into at least one additional allegation of misconduct against Supreme Court nominee Brett Kavanaugh, NBC News reported on..
Trump's nominee for the US supreme court said that he's going nowhere, despite new allegations of sexual misconduct against him. 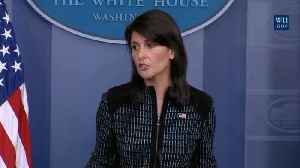 As Judge Brett Kavanaugh faces another allegation of sexual misconduct by a woman claiming he exposed himself to her at a party when they were both students at Yale University in the 1980s, President..
Nikki Haley on Sunday weighed in on the sexual assault allegation against Brett Kavanaugh. 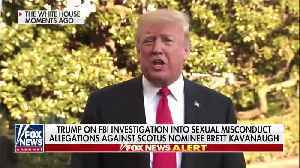 Trump: Why Wasn't FBI Called 36 Years Ago Over Ford's Allegation Against Kavanaugh? 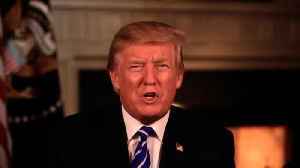 President Trump on Friday weighed in on the allegation against Brett Kavanaugh. The woman accusing Brett Kavanaugh of sexual assault is willing to testify later next week. 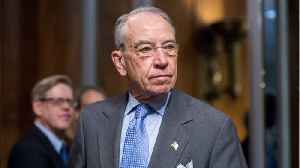 Senator Chuck Grassley gave Ford until Friday to submit a prepared testimony if she planned to appear on..
Sen. Chuck Grassley has cultivated a decadeslong reputation for protecting whistleblowers and fighting for government transparency. Now he’s plunging into the harrowing task of probing a sexual.. 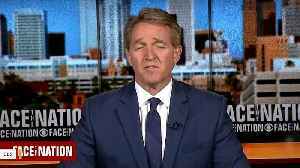 Senator Jeff Flake on Wednesday slammed Donald Trump, Jr. for mocking the sexual assault allegation Christine Blasey Ford brought against Supreme Court nominee Brett Kavanaugh. Senator Jeff Flake on..
President Trump on Tuesday tweeted in the wake of the allegation against Brett Kavanaugh. 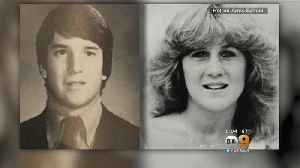 President Trump tweeted Tuesday night that voters should be watching the Democrats' playbook, days after..
A lawyer for Christine Blasey Ford said she wants the FBI to investigate her claim Supreme Court nominee Brett Kavanaugh tried to sexually assault her when both were teens before she publicly testifies..
CNN reports, Christine Blasey Ford wants the FBI to investigate the allegation before she testifies. Former President George W. Bush on Tuesday voiced his continued support for Supreme Court nominee Brett Kavanaugh. 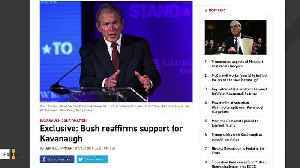 Former President George W. Bush on Tuesday voiced his continued support for Supreme..
President Trump on Tuesday weighed in on the allegation against Brett Kavanaugh. 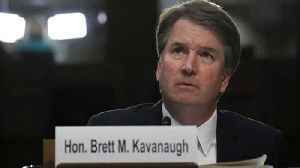 Supreme Court nominee Brett Kavanaugh will testify to the Senate Judiciary Committee Monday along with Christine Blasey Ford, who says Kavanaugh sexually assaulted her when they were both teenagers in..
A committee vote to advance Kavanaugh's nomination was originally scheduled for Thursday but has been delayed. Ann Coulter on Monday slammed Senator Jeff Flake for suggesting that the vote for Supreme Court nominee Brett Kavanaugh be delayed due to the allegation against him. 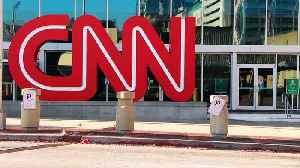 The network published an extremely questionable accusation, treating it as credible, even though it had already been recanted. 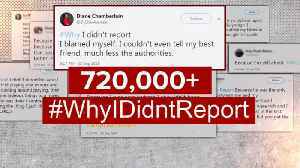 As Christine Blasey Ford prepares to testify before the Senate Judiciary Committee, Ford's authenticity is under attack across social media. 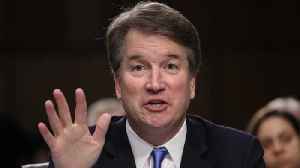 Ford, a California psychology professor, accused President..
A third woman came forward in a statement to a Senate panel made public on Wednesday accusing Brett Kavanaugh, President Donald Trump's U.S. Supreme Court nominee, of sexual misconduct in the 1980s,..
"This is a smear, plain and simple," Brett Kavanaugh says. 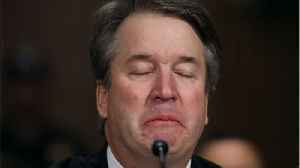 That's his response to the new allegation of sexual misconduct against him -- published by The New Yorker on Sunday night -- in a story..
On Sunday, the New Yorker dropped a new bombshell report claiming Senate Democrats are investigating a new allegation of sexual misconduct against Supreme Court nominee Brett Kavanaugh. 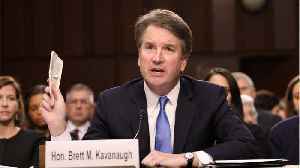 The second..
BISMARCK, N.D. (AP) — North Dakota Republican Senate candidate Kevin Cramer says a sexual assault accusation against Supreme Court nominee Brett Kavanaugh is “even more absurd” than Anita..
On Friday night, Hillary Clinton appeared on The Late Show and weighed in on the ongoing confirmation battle of the Supreme Court nominee Judge Brett Kavanaugh. 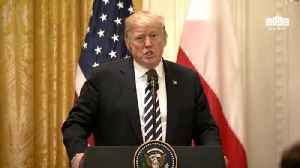 During a rally in Springfield, Missouri on Friday, President Donald Trump praised Supreme Court nominee Brett Kavanaugh and took aim at the “lingering stench” in the Department of Justice. 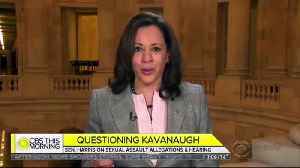 After..
Republican Rep. Ralph Norman drew ire Thursday night when he made a joke pertaining to the sexual assault allegation against Supreme Court nominee Brett Kavanaugh. For women like Jayne A. Cordes, the steady stream of investigations in Washington is exhausting. 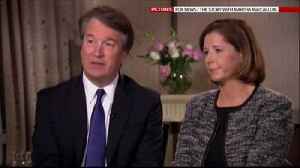 That's why, when Christine Blasey Ford came forward to accuse Brett Kavanaugh of sexually assaulting her..
On Thursday night, MSNBC anchor Brian Williams took a shot at Republican lawmakers for remarks they have made in recent days on the sexual assault allegation made against Supreme Court nominee Judge.. They say religious conservatives may feel little motivation to vote in the November elections unless Senate Republicans defend and confirm Judge Kavanaugh. 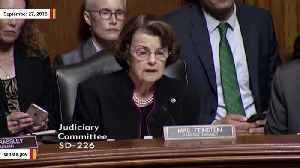 Senator Dianne Feinstein, who held from public view the letter from Christine Blasey Ford detailing an accusation against Donald Trump‘s SCOTUS nominee Brett Kavanaugh, told reporters today she..
During Monday's edition of The Ingraham Angle, host Laura Ingraham brought up the sexual assault allegations against Supreme Court nominee Brett Kavanaugh, saying "Democrats are happy to.. The Senate Judiciary Committee scheduled a hearing next Monday in which Christine Blasey Ford, the woman who has accused Brett Kavanaugh of assault, will testify. 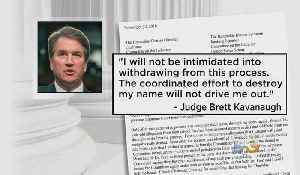 Kavanaugh has denied the allegation.